With the eighth and final season set to come out on April 14th, Game of Thrones fans are both really excited and somewhat sad. It’s the end of an era after all. So who will sit on the Iron Throne and rule the Seven Kingdoms? If you’re not going to be in the country on April 14th or are living abroad you will obviously still want to tune into Game of Thrones and keep up whatever that sneaky Varys is cooking up. After all there are only six episodes to watch, blink and you’ll miss it. Dubbed the most successful television show of all time, HBO’s Game of Thrones regularly has over 10 million viewers tuning in per episode. Keep reading to make sure you don’t miss out on the most important season yet. Subscribe to a VPN service of your choice. To gain access to HBO GO from outside the US, the best VPN provider is Express VPN. Install the VPN software for the platform you will be using. Connect to a server via your VPN. Go to the HBO Go website and log in or subscribe. Mark April 14th on your calendar, grab some munchies and unwind whilst watching the best television show in the world. As any true GOT fan will tell you, the best part of watching a new season is doing so as soon as it airs. Waiting days, weeks or months because of the restrictions is just not an option. This is why your best bet to tuning into GOT is through the use of a VPN. This service will be able to change your IP address to another address located in the country of your choice. For Game of Thrones enthusiasts, this means connecting to an IP found in the US. Here are the usual suspects and some that you may not have known about if you want to watch GOT season 8. If you have cable, then you are set to go. Just sign in to HBO GO, sit back, relax and let Game of Thrones roll. You will be able to watch your favorite show live as it’s airing. 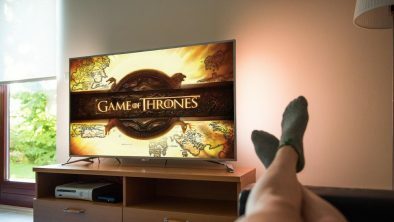 Although HBO GO is available in many countries, the content you find available will vary depending on the licensing deals that are signed by the company. It comes as no surprise then that the US version of HBO GO will almost always have the richest media library available. You will find HBO GO works in countries outside of the US including: Canada, UK, EU countries, Australia, New Zealand, Russia, Indonesia, China, South America and Russia amongst many more. HBO GO is available on Android smartphones and tablets, iOS devices, Amazon services, Roku and PlayStation services just to name a few. HBO Now was created for those people who don’t have a traditional cable subscription. It allows you to browse their network’s library of movies, original series, documentaries and specials. It costs $14.99 a month and you can view GOT through the HBO Now app on various devices including smart TV’s, Apple TV, Amazon Fire TV, and Roku. Or you can simply stream it on your computer via their website. Students can also subscribe for a discounted price of $9.99. Of course both HBO GO and HBO Now are only supported in the US and certain US territories, but we have you covered with that so keep reading. Striking a streaming deal with HBO means that Hulu will also have Game of Thrones available for you to watch. They allow you to have a week’s free trial (as does HBO Now) so you can have a look around to see if Hulu works for you. After that you will be paying a monthly subscription of $14.99. Similar to Hulu, Amazon also has a partnership with HBO and so you can watch the show there. The free one week trial is something they too offer, after which you will be paying $14.99 per month. You can also sign up for their Prime membership which comes at a cost of $119 a year. This is the priciest option out there, but if you have a PlayStation Vue subscription you will have access to both HBO and Showtime. This will set you back a hefty $44.99 per month, but you will be able to hook up as many as five of your devices simultaneously including your phone, tablet and computer to all of PlayStation Vue channels. This is by far our number one choice when it comes to streaming Game of Thrones. If you want to surf the net with ease in Vietnam, sign up for ExpressVPN as the best VPN for watching Game of Thrones, today! ExpressVPN also offers a special deal, get 3 months free and 49% savings with their annual subscription plan! Another great VPN service to use for watching Game of Thrones is Surfshark. Unlimited number of connections to Surfshark VPNs at any time. Subscribe to Surfshark here and read the full review here. Subscribe to CyberGhost here and read the full review here. Unfortunately you cannot pay for NordVPN with PayPal like before, so if this is your only payment option you should look to other solutions such as ExpressVPN. Subscribe to NordVPN here and read the full review here. Winter is coming, so to make sure you’re all set in front of your screens here is everything you will need to know about the final season of Game of Thrones. Sunday evenings at 9 p.m. (that is 8 p.m. central time) are reserved for solely for your viewing pleasure on your own personal throne. Winter is coming. So, come April 14th, you will want to be front and center watching the biggest TV show known to mankind. After all, who doesn’t want to know whether the white walkers take over the seven kingdoms, and if not, which one of the other contenders will take prime position on the Iron Throne? Streaming the show outside of the US is no longer an issue, so you won’t need to run around screaming “valar morghulis” (all men must die). All you need to do is get your hands on a great VPN like ExpressVPN and you’re set to watch from any corner of the globe. Next > How Private is Your Data Once You've Taken a Home DNA Test?